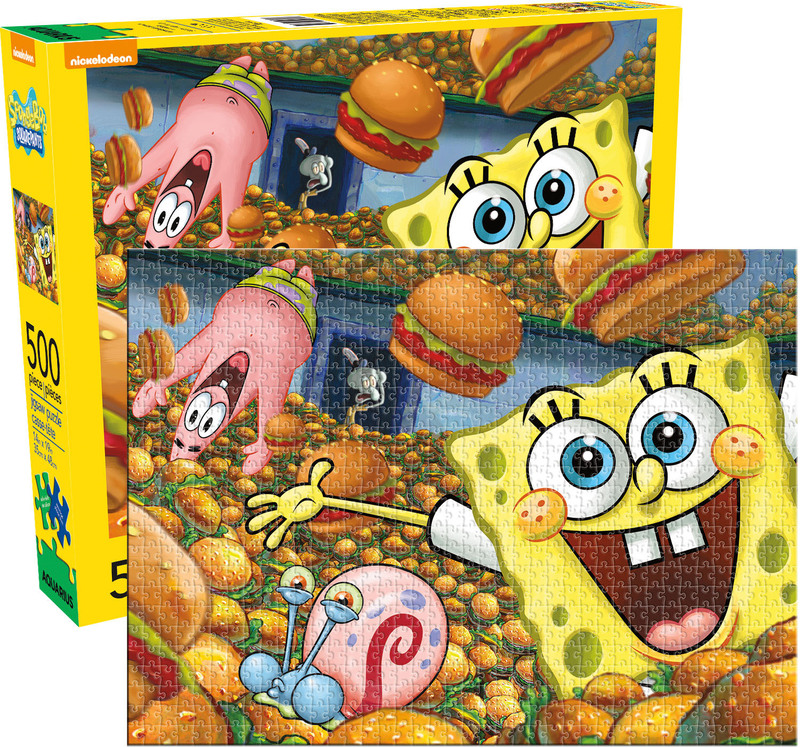 Sponge Bob Square Pants by Aquarius Puzzles is a fun new 500-piece jigsaw puzzle, featuring the iconic childhood favorite, SpongeBob Squarepants! Children and fans of the TV show are going to love this illustrated puzzle as Spongebob leaps out if the puzzle in pure cartoon fashion. Patrick Star, Squidward Tentacles and Gary the snail are all here as they have an adventure in a land of hamburgers. Nickelodeon's animation pops in this puzzle as each character is drawn in great detail and painted with vibrant colors that make this image fun for ages 14 and up. This puzzle is a perfect gift for many young and aspiring puzzlers and adults alike! Exactly the reaction I wanted from my sister when she opened her Christmas gift! A lifelong fan of SpongeBob we couldn't wait to start puzzling. I had an issue with the delivery of my order and customer service was quick to respond and correct the issue. Great product and customer service!